Usually, the first step in the interment of ashes from a cremation (often referred to as “cremains”) in the Herland Forest involves the loved one selecting a location that speaks to them. 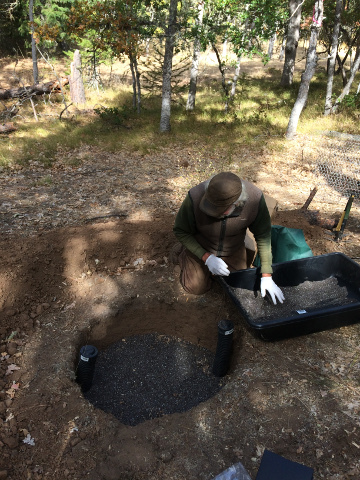 Then a hole is dug and a biodegradable container holding the cremains is buried in the hole. 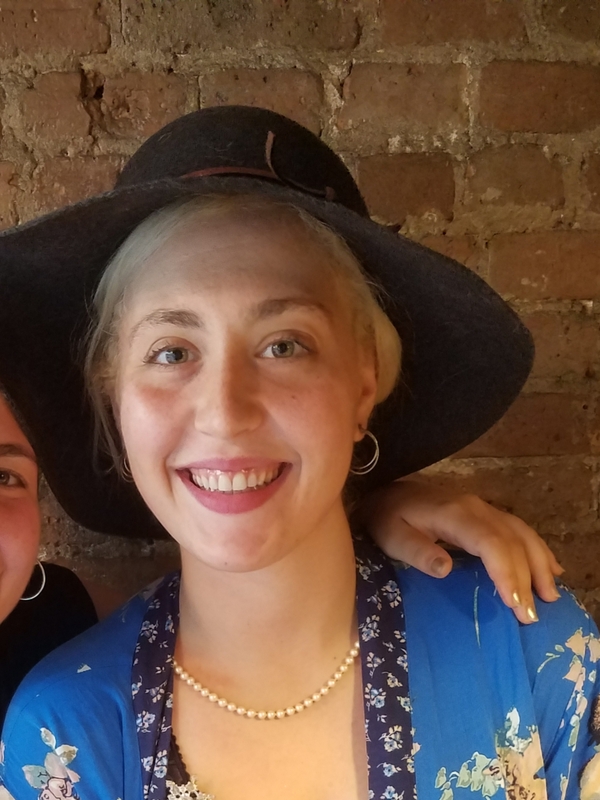 This summer, we were contacted by a family that wanted to honor their daughter’s desire to move to Washington state by having her cremains laid to rest in the Herland Forest. In addition, they wanted to have a tree planted over the remains as a memorial. What follows is a description of how we undertook to honor that vision. In the heart of Herland Forest there’s a protected glen that’s relatively damp and protected from the winter winds. 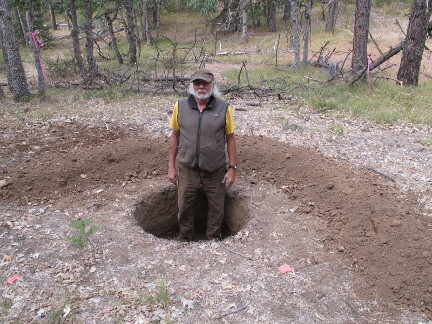 We picked a spot about halfway down a gentle slope to plant Emma’s cherry tree, and dug a hole that was three feet in diameter, and two and a half feet deep. Perhaps the most challenging issue involves the chemical nature of cremains; they’re highly alkaline and will raise the pH of the soil to the point where the alkalinity will burn the roots of the tree. Fortunately, Let Your Love Grow has addressed this issue by offering a mixture that neutralizes the alkalinity and dilutes the ashes to the point where the nutrients can be absorbed by the tree. This was the first time we’d used their product and we were very pleased with their service and support. In the future, when folks want to plant directly over cremains, we’ll encourage them to use the Let Your Love Grow product. Our next concern had to do with ensuring that the young tree would be able to cope with how dry our forest can be during the late summer months. It’s common for us to not get any rain during July, August and September, and that can be very stressful for a tree that’s just trying to get established. Instead of digging a hole large that’s just large enough to accommodate the root ball, we prepared a hole that was three feet in diameter, and two feet deep. We used the dirt we removed to create a chevron just downhill. That will help capture water running off from snow melt or a heavy rain, and retain it to nourish the tree. 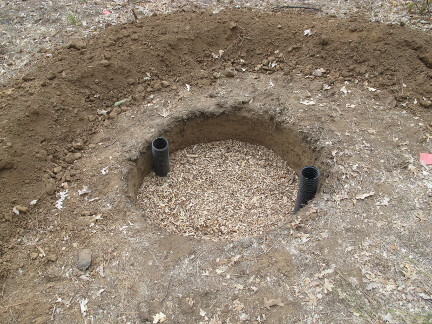 Next, we backfilled the hole with a foot of wood chips to create a water storage catchment. During the wet season, the wood will absorb water and retain it into the dry months, providing a deep reservoir of moisture that the tree’s roots can access to tide it over until the rains come. We’ll also want to provide supplemental water for the first couple of years, so we installed two tubes that will allow us to directly recharge the wood chip “water battery” without soaking the surface. That’s important because surface watering would encourage the formation of surface roots which won’t help the tree cope when the surface soil dries out in late summer. By recharging the wood chips down under the tree, we’ll encourage the tree to send its roots down to where the water is. We also located a 300 gallon tank uphill from the tree so that during the dry season, we’ll have a convenient way to recharge the tree’s water battery. Then we mixed the cremains with the Let Your Love Grow mixture, and spread that out on the top of the wood chips. 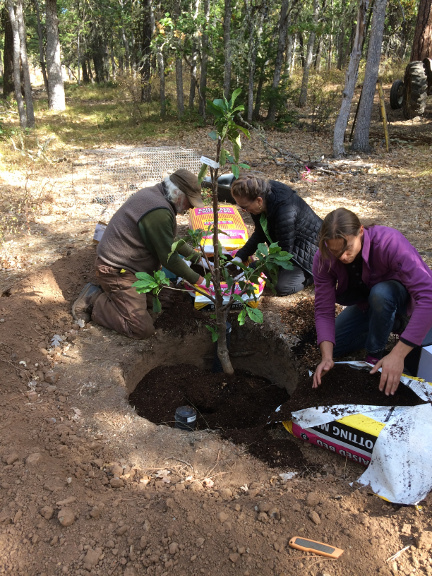 After settling the fruit tree in the hole, we back filled around the root ball with an organic potting soil mixture that would help the roots expand out to fill the space, a process which will both anchor the tree and help it absorb nutrients. At this point, we planted a couple dozen daffodils all around the tree. Herland Forest is home to ground squirrels who would dearly love to view Emma’s cherry tree as a nifty new squirrel condominium. Left to their own devices, they’ll soon move right in and start to snack off the cherry’s tasty roots, thereby undermining the tree’s survival. Daffodils are traditionally planted along the drip line of fruit trees to protect their roots because the roots and bulbs of daffodils contain alkaloid poisons that repel squirrels and mice. One taste of daffoldil root and they head elsewhere. Once the tree was nestled into the potting mixture, and the protective daffodils were in place, we added a final cover of a couple of inches of wood trips to block evaporation and serve as a moisture conservation layer. The next step involved protecting the tree from the deer who like to nibble on tasty fruit tree bark. First we surrounded the tree with a column of concrete mesh covered with chicken wire. That will make it difficult for deer to access the bark, but difficult is not the same thing as impossible. 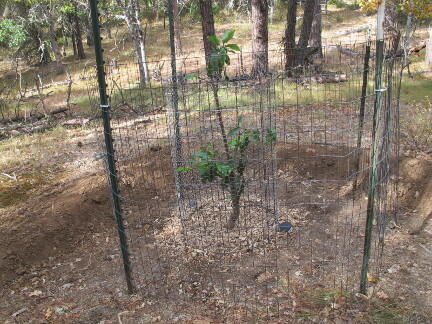 So, in order to keep deer from pushing through the inner barrier to girdle the tree, we installed a second ring of fencing about two feet out to help keep the deer away from the inner fence. As wild creatures, deer are naturally skittish about entering a narrow enclosure. As a result, while deer can easily clear a single four foot tall fence, they’re generally reluctant to enter a space in between two fences that are set close together. The last step was to soak the wood chips to “charge up” the water battery. Because the wood chips were dry to start with, they would absorb moisture from the ground, water that we wanted to be there for the tree. A hundred gallons was enough to make sure that everything had a good initial soaking. With our work done, we wished Emma peace and took our leave. When we post about a particular burial, we run the article by the family to make sure that they’re okay with our telling the story of how their loved one is becoming part of the Herland Forest. Joy, Emma’s mom, was kind enough to give her blessing, and to add a footnote. Emma is a twin, and naturally, her sister was devastated by the loss. 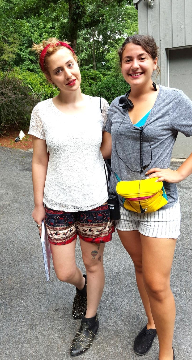 Joy sent along this picture of Emma and Hannah taken in happier times. Joy also passed along word that Hannah is sure that Emma would love her place in a green forest cemetery in Washington where she’s becoming part of nature.